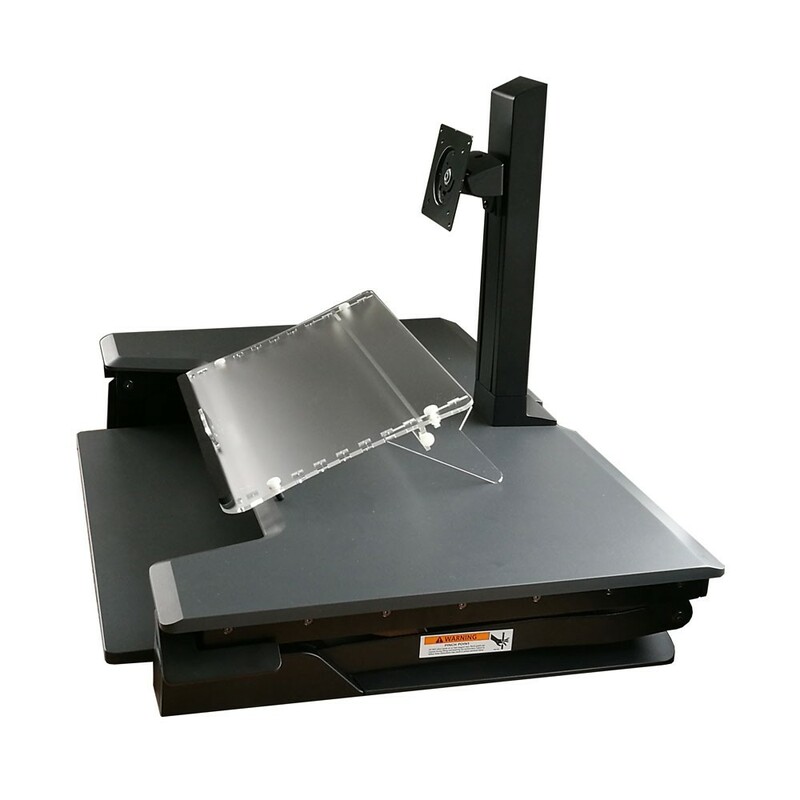 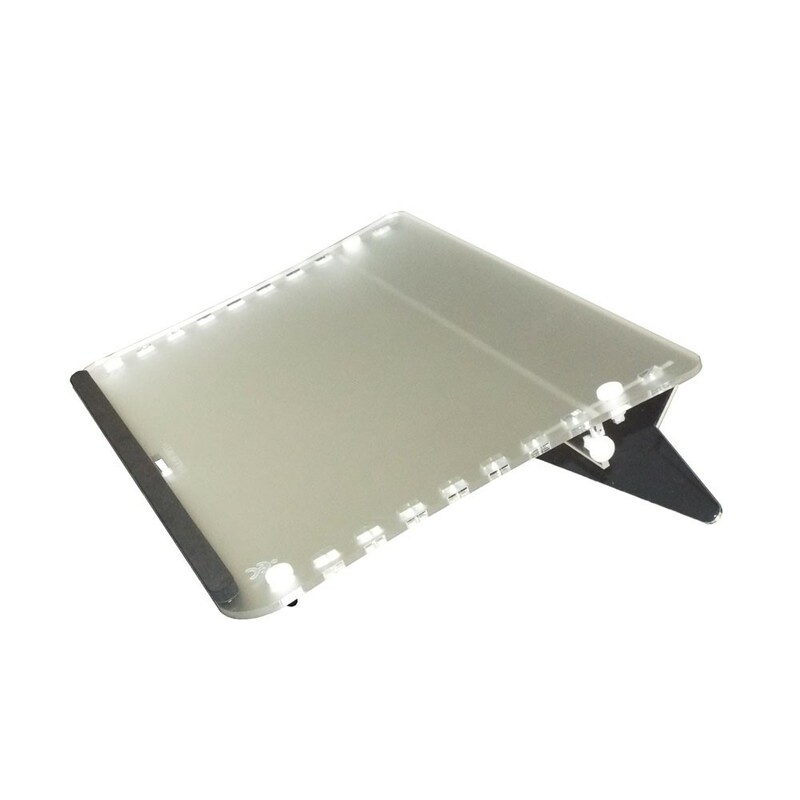 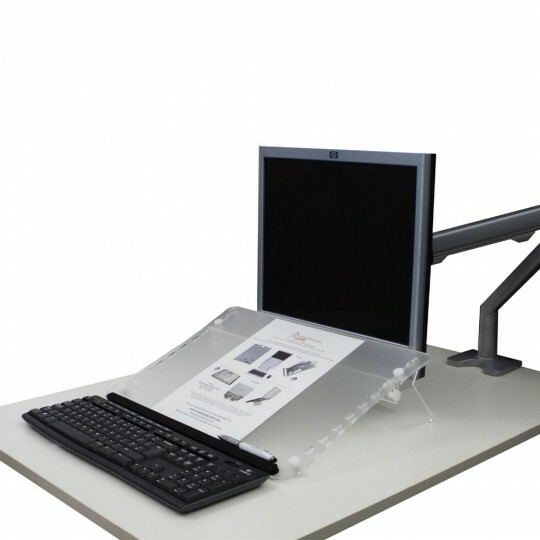 The Clear Copy Document holder is a simple and easy to use multi functional copy/document holder with 9 levels of adjustment between 19-40°. 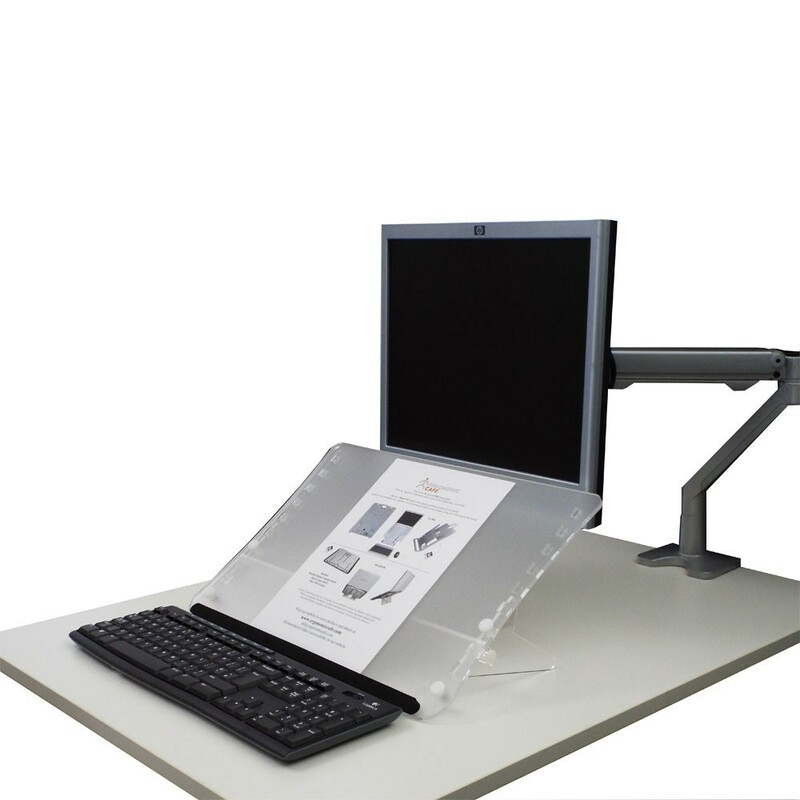 This flexibility makes it the perfect deskmate – it can be used as a document holder or a writing slope elevating work to a comfortable level to reduce awkward postures and the associated aches and pains. 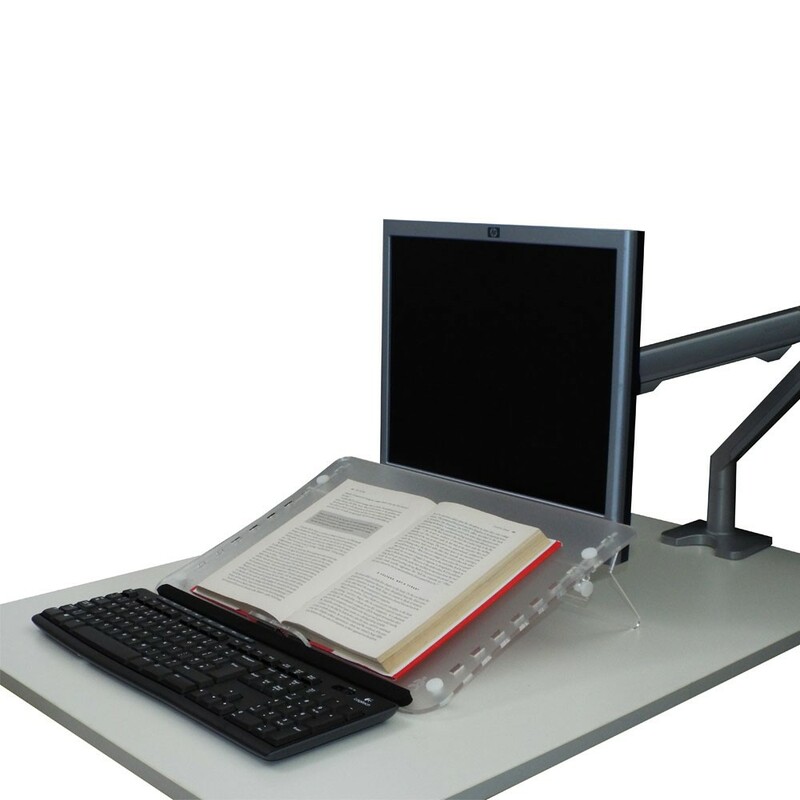 The padded document rest will securely hold any reading material in place and if needed, a simple book holder can be added (optional extra) to support weightier documents or books.